Croatia is an up-and-coming holiday destination which is gaining in popularity. The following are three top cities in Croatia to visit this year, along with a taste of what to expect from each. Split is a seaside resort city on the Dalmatian coast of Croatia. Besides its gorgeous beaches, Split is famous for the Diocletian’s Palace, a massive, fortress-like complex in the city’s centre, which is like a city within the city. The palace was erected in the 4th century by the Roman emperor and the sprawling ruins include over 200 buildings, which housed a military garrison. As can be seen from the image below, extensive restoration work has been performed on some of the buildings. The complex has been named a UNESCO World Cultural Heritage. Split’s historic centre is also home to the Cathedral of Saint Domnius, a 4th century Catholic church. Also of interest is the Mestrovic Gallery, which displays the work of Ivan Mestrovic, the 20th-century sculptor. Split also has a bustling port where ferries and cruise ships dock. From here you can climb on board and experience a cruise from Split to Dubrovnik, our next destination. Dubrovnik is located on the Adriatic Sea in southern Croatia and is known for its iconic Old Town, the stone walls of which were completed in the 16th century. In the area are many well-preserved buildings from different eras, including the Renaissance Sponza Palace, the Baroque St. Blaise church and the Gothic Rector’s Palace. 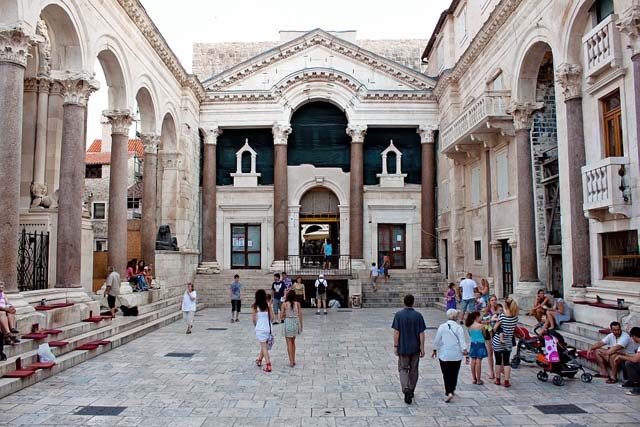 The latter is a history museum these days, with many fascinating exhibits looking back on the past of Dubrovnik. In the centre of the Old Town is the Stradun, a pedestrianised street lined with restaurants, cafes, bars and shops. 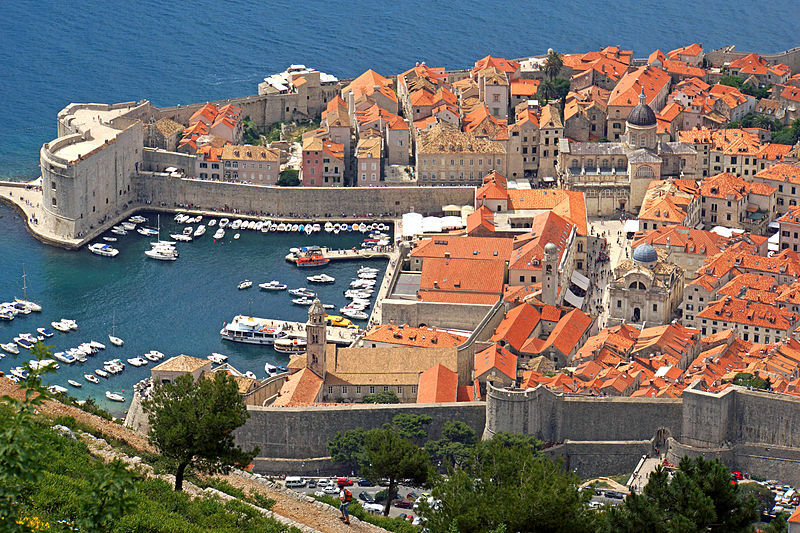 Of interest to note about Dubrovnik’s Old Town is that it played a role as King’s Landing in Game of Thrones and fans can visit the filming location and take a cruise on the Karaka, the ship on which Daenerys Targaryen sailed in the series. Zagreb is the capital and is located in north-western Croatia. A historic city, Zagreb is known for its Austro-Hungarian architecture from the 18th and 19th centuries. Upper Town, in the city’s centre, is home to the Gothic Zagreb Cathedral and the St. Mark’s Church, dating from the 13th century and with a tiled roof. Close by, Tkalciceva Street is the place to go for refreshments and people-watching at the many outdoor cafes. One quirky museum worth visiting in Upper Town is the Museum of Broken Relationships, which displays personal objects from failed relationships. Lower Town Zagreb houses the city’s main square, Ban Jelacic, as well as pretty parks, many shops and restaurants and several museums. The Croatian Museum of Naive Art is of interest, a fine art museum dedicated to the work of 20th century naive artists. Visit Croatia this year to experience its remarkable history, culture and friendly hospitality.